Rating: 6.2/10. From 10 votes. 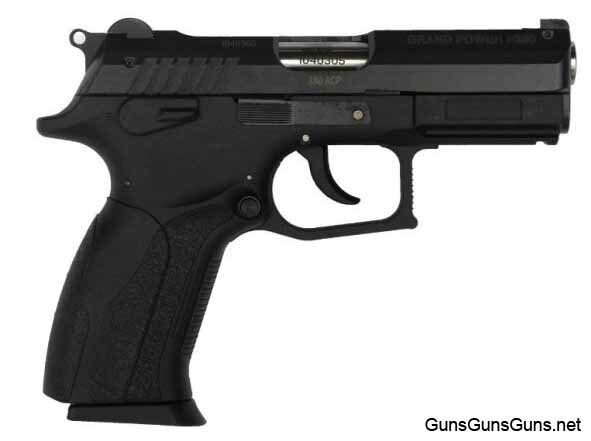 Summary: The description, specs, photos, pricing and user ratings for Grand Power’s P380 pistol. 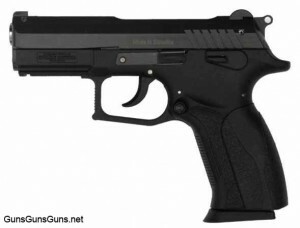 The Grand Power P380 is a semiauto pistol built on a polymer frame with a steel insert and chambered in .380 ACP. The P380 from the right. The P380 from the left. This entry was posted in .380 ACP, $251-$500, $501-$750, Full size, Grand Power, Semiauto on August 1, 2012 by Staff. We need to import grand power p380 into USA . The p380 is the size of a glock 19 that shoots almost as soft as a .22lr pistol . The grand power p380 is a fixed barrel blowback design that makes this pistol have extreme accuracy. Due to the weight 27 ounces and caliber 380acp flinching doesn’t occur. Therefore your shots go right we’re you aim them,even in rapid fire. shot placement is what matters the most in self defense shootings,not caliber and reliability .